Located in a prominent position on Town Hall Square, the old library building is re-imagined to provide a range of high quality food and beverage units at ground floor with new office accommodation above with views over Market Square. 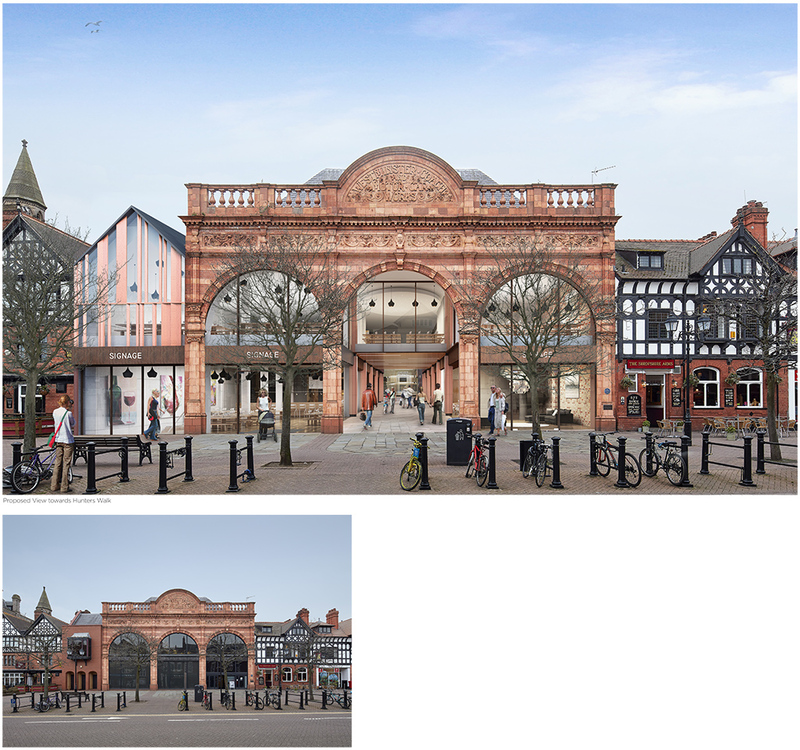 The central arch of the existing façade is opened up to form a new front door to Market Square and Hunters Walk arcade. The extensive and finely crafted terracotta detail of the original building (Westminster Coach and Motor Car Works, 1914) provides inspiration for the new contemporary building addition onto Market Square.